From Kidstir’s earliest days, my mom—an Early Intervention Specialist—believed our kits would be great for children with special needs. 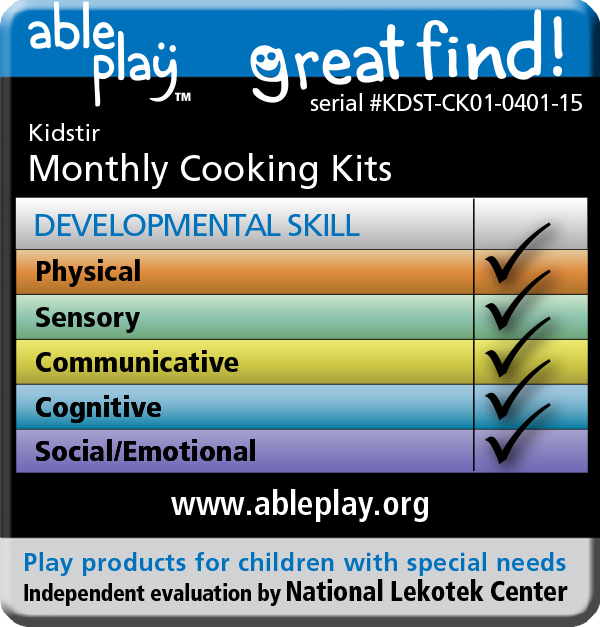 After we launched Kidstir, we started hearing directly from families who were using our kits for their kids of varying abilities. It has been immensely fulfilling to provide joy and learning to a diverse range of children and families. Exploring this path led us to the wonderful California Autism Foundation, with whom we formed a partnership earlier this year. It also led us to AblePlay, an independent, non-profit organization whose mission is to make the world of play accessible to all children. 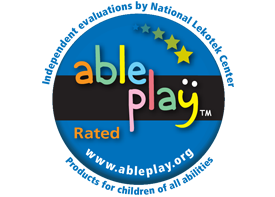 AblePlay was created so parents, friends, family members, educators, therapists, and others can make the best decisions when purchasing products for children, especially kids with special needs. To provide this important guidance, AblePlay’s play specialists and families undertake an extensive evaluation process of toys and educational products across several developmental areas. 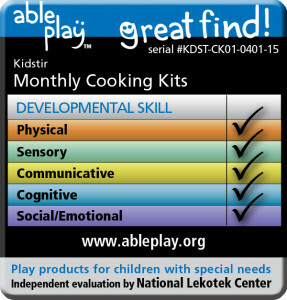 We are thrilled to announce that Kidstir has received AblePlay’s prestigious seal of approval across all 5 key testing areas. Look, Mom, here’s a report card we can both be really proud of!